It is time to fulfill our sugary fantasies from Dunkin’ Donuts Big Deals. Calling all sweet tooth advocates! Let the luscious flavors of Dunkin’ Donuts Big Deals melts in your mouth and delight your palate in nonstop decadence. Share the sweetness with your love ones when you order the Big Deals treats from our favorite doughnut and coffee shop. For just Php349, you can choose their Big Deal Barkada Bundle OR Big Deal Family Bundle. It is like adding Php50 to your usual bundle but getting additional box of Dunkin’s treats! 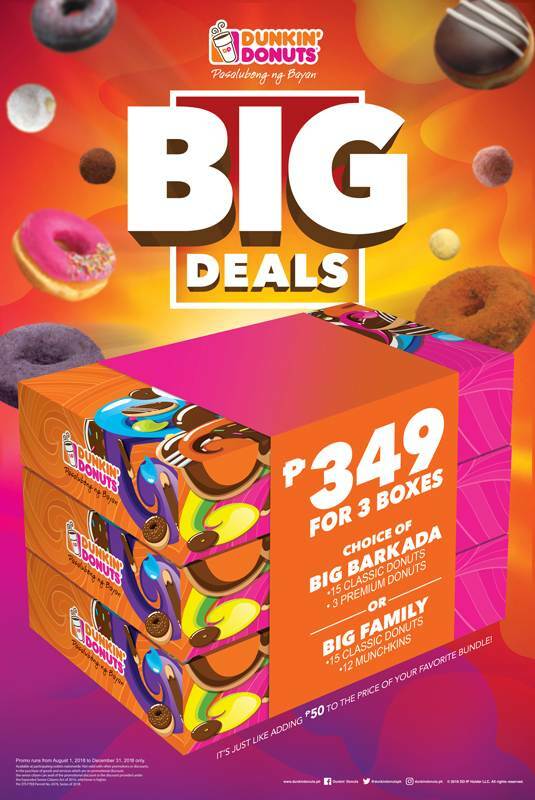 Big Deal Barkada Bundle includes 15 pieces of classic Dunkin’ Donuts flavor and 3 pieces of their Premium Donuts. Big Deal Family Bundle, on the other hand, consists of 15 pieces of Classic donuts flavor plus 12 pieces of munchkins. This offer is available until December 31, 2018 in all Dunkin’s Donuts stores and kiosks near you. 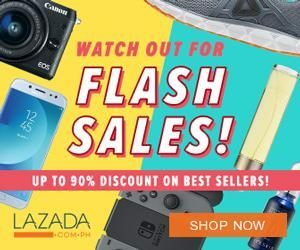 'dunkin donut promo' - 'dunkin donuts price philippines 2019' - 'dunkin donuts promo today' - 'dunkin donut munchkins box menu' - 'dunkin donut ph price list in box' - 'dunkin donut price' - 'dunkin donut promo january 27 2019 ph' - 'dunkin donuts philippines promo 2018' -Enjoy!